In Numbers 11 the power of leadership that had formerly been concentrated in Moses was spread more widely among the people. This vision of the diffusion of leadership throughout the body politic is one with many challenging lessons for our current situation. 16 So the Lord said to Moses, “Gather for me seventy of the elders of Israel, whom you know to be the elders of the people and officers over them; bring them to the tent of meeting, and have them take their place there with you. This week’s Old Testament lectionary wanders into the rocky territory of the Sinai wilderness, where the relationship of God, Israel, and Moses face severe testing. Just one chapter earlier, the Israelites had departed from Sinai, where they had been encamped since the exodus from slavery in Egypt. Equipped now with a new Torah and a divinely chosen leader in Moses, the community undertakes the daunting task of making a future together, beginning from the stark reality of life in the wilderness. As the text opens, it appears that the burden of leadership has fallen solely upon Moses, who says to God, “Why have I not found favor in your sight, that you lay the burden of all this people on me?” The question is a curious one in the narrative logic of the Pentateuch. According to Exodus 18, Moses had already shared leadership with the people at the behest of his father-in-law Jethro, who instructed him to find “able men among all the people” to serve as “officers over thousands, hundreds, and tens” (Exodus 18:21). Yet it appears that in our text Moses has again assumed sole responsibility for leadership—whether because the other men proved incapable or because Moses was unable to truly share power we do not know. What we do know is that the consolidation of power in Moses’s hands has resulted in an untenable situation. The people cry out in misery, God stews in anger at their ingratitude, and Moses complains about his burdensome responsibility. It is unclear how they will ever move forward together. The people’s dissatisfaction expresses itself in an overly dramatic focus on what seem to be relatively trivial issues, in this case the repetitive dinner menu. “We remember the fish we used to eat in Egypt for nothing, the cucumbers, the melons, the leeks, the onions, and the garlic,” they say. It is customary among interpreters to view the people’s complaint as whiny and self-obsessed. God and Moses have provided for them, the argument goes, and they should be grateful. After all, what the people seem to have forgotten is that the cost of those leeks and onions was their very enslavement at the hands of Pharaoh, from which God and Moses had dramatically rescued them. God and Moses seem to take just such a view, the Lord seething with anger while Moses wishes to die rather than put up with their petulance. Yet, a different reading of the text is possible. When Moses complains to God about the burden of leading the people, God’s response is to propose a restructuring of leadership. From now on the people will have a voice in the decisions that affect the community. This suggests that the people’s complaint has been less a selfish grumbling than a symptom of poor leadership exercised by Moses. What appears to be mere grumbling about the present, or amnesiac nostalgia for the past, often indicates a people who feel disempowered from participating in the decisions that affect them. With no access to power of their own, the people have no recourse but to complain about the powers that be. With no capacity to shape their own futures, the people long for a romanticized version of the past. Moses’ exercise of leadership has concentrated power in his own hands. Voiceless in the public realm, the people long for a return to Egypt. They have exchanged one pharaoh for another. But at least they used to have meat for dinner. The solution offered by God is to transition to a model of shared governance. God instructs Moses to gather seventy elders (11:16) and take them to the tent of meeting. In a verse that is oddly not included in the lectionary reading, God announces that “I will take some of the spirit that is on you and put it on them; and they shall bear the burden of the people along with you” (11:17). Moses has been relieved of the burden of solitary leadership, and the community has been included in determining its own future. Shifting focus from the people’s complaint to Moses’ model of leadership provides us an opportunity to make a similar shift of focus in our own contexts. For instance, in the U.S. protests in places like Ferguson and Baltimore have been viewed in some quarters as mere complaint or as aimless destruction of property. Yet framed within the story of Numbers 11, we can see those protests as expressions of deep frustration among people who have been shut out of power and isolated in impoverished communities with little hope for a better future. Rather than critiquing the people’s complaint, we might better ask why they have been left without access to self-determination and to support organizing efforts that amplify the people’s voice. Here Joshua reflects the old model of Moses’ leadership, in which only one could be vested with power, which consequently had to be jealously guarded from others. It is a temptation that we still face, especially those of us who have found ourselves in culturally ascribed positions of privilege. If the power of leadership spreads throughout the community, what will happen to our own significance? Yet Moses replies, “Would that all the Lord’s people were prophets, and that the Lord would put his spirit on them” (11:29). There is plenty of burden to go around, plenty of decisions that need to be made, plenty of hope that needs to be renewed, plenty of work that needs to be done. Would that all the people were empowered, and not only the jealous few. 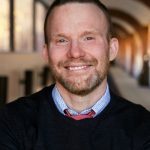 Associate professor of religious studies at Hendrix College (Conway, Arkansas) and founding pastor of Mercy Community Church of Little Rock, a multi-denominational worshiping community welcoming all people, especially those living on the streets. Author of The Forgotten Books of the Bible: Recovering the Five Scrolls for Today (Fortress Press, 2018) and regular blogger at robertwilliamsonjr.com.